Web design – make it responsive! Now more than ever it’s critical that your business website be optimized for your mobile customers. Why? One of the biggest reasons you want a mobile responsive website design is Google! Google now favors mobile responsiveness. 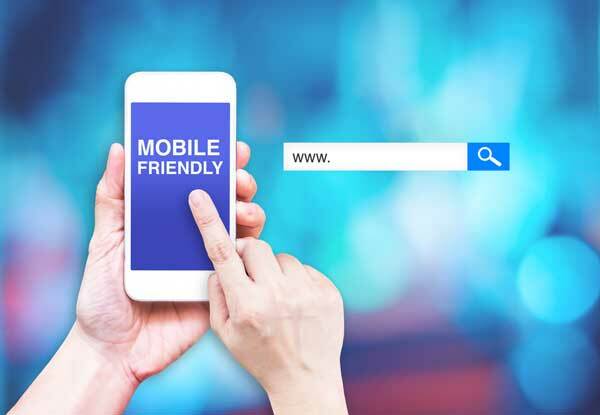 This means that if you and a competitor had equal websites, with one being mobile friendly and one not, the mobile friendly site would be pushed to the customer and the non mobile friendly website would be penalized in the SEO algorithm. Google is still the search engine most businesses want to rank for and having a mobile responsive website design is critical in your search engine optimization strategy. Everyone is on mobile! An incredible 80% of internet users use a smartphone. If they are online chances are they are on their phones. Half of web traffic is mobile users. This is big for businesses – mobile users buy more. Users on mobile will switch screens to accomplish their goals. Google now favors mobile responsive websites. Social media is big on mobile devices. How do you know if your website is mobile friendly? It’s easy. Use this mobile responsive website design test tool free from Google. Click here and the tool will open in a new window. Simply input your website url and click test. How can we help you with your website and marketing goals?